As the largest land carnivore in Patagonia, most wildlife enthusiasts aspire to witness this agile feline in its natural habitat. For better odds at spotting this magnificent creature, scout out the Torres del Paine National Park, and Aysen. Once one the brink of extinction, the puma population is now thriving in Patagonia thanks to enforced protection of the species. Closely related to the more well known species, Llama, you are almost guaranteed to come across groups of guanacos in Patagonia. Their herds usually consist of females and their offspring, alongside a dominant male, whilst the rest of the male guanacos form separate ‘bachelor’ herds. Their main predator is the aforementioned puma. As an endangered species (only 100 remain in Patagonia) you are statistically less likely to come across a Huemul deer. However Parque Patagonia protects a modest group of them, so head there if you’re keen to search for them. They are endemic to Patagonia, and have been immortalized in the Chilean coat of arms alongside the revered Andean Condor. These sturdy creatures are used to challenging mountainous terrain, and are well adapted to withstand these difficulties. A rather small (and utterly adorable) canine, at about 4kg in weight, that feeds on small prey like hares, rodents or birds, as well as wild fruits. Although the name suggests they are a species of fox, they are actually more closely related to wolves. 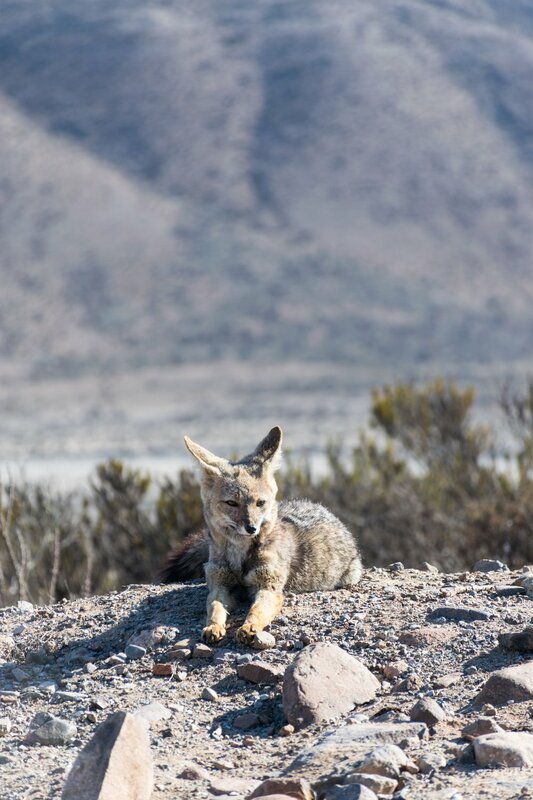 There is sometimes some overlap in territory with the larger Fueguian Fox, who naturally becomes competition for similar prey. Frequently nicknamed the big hairy armadillo, what distinguishes this armadillo from others is the ‘fluffy’ armor at the rear. 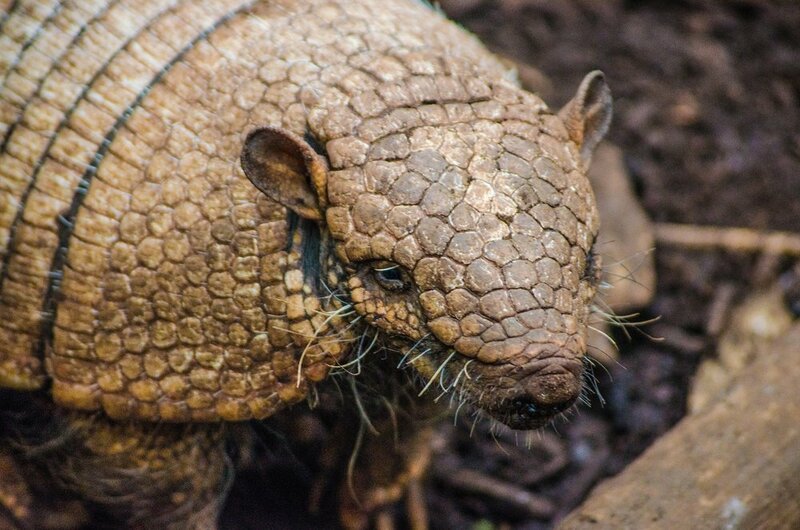 With a prominent head plate, and protective armor covering its body in flexible bands to along movement, the Patagonian Armadillo is more agile than it looks. A competent digger with its large claws, armadillos spend a lot of time underground in their burrows. For this reason this reason you are most likely to find them in regions with softer soil, such as Torres del Paine. A large flightless bird resembling an ostrich or emu, with a small head and beak, long muscular legs and strong claws. They tend to live in the grassland areas of Patagonia, in groups of up to 30 birds. Often a sought after sighting, Mara’s are one of the world’s largest species of rodents and can weigh up to 9kg! Originating in Argentina, they can now be spotted all across Patagonia. They are widely considered very cute, almost rabbit-like, and therefore are often confused with hares. Mara’s are herbivores and monogamous, but couples frequently share warrens with other pairs and breed communally for safety in numbers. The Andean Condor should be easy to discern from other birds of prey, with its contrasting white neck to the rest of its predominantly black body, a bald head… and then its sheer size. It is considered the largest bird in the world, taking both into consideration its wingspan (maximum 3.3m) and its weight (up to 15kg). Even with such a large wingspan they are so heavy they prefer living in windy climates where they can glide on air currents, hence why they are mostly spotted in the mountains or by the coast. Easily distinguishable from their comical nose, Southern Elephant Seals can be found in large colonies in Valdes and along the Tierra del Fuego coastline. It gets its name from its gargantuan size, in fact a full grown male averages at 3,175 kg (7,000 lb). To put that into perspective an adult male Polar Bear weighs between 350-700 kg. Patagonia is a prime destination for spotting marine life, as it has three oceans surrounding it. The Killer, Humpback, Southern Right and Blue whale are potential species of whales you may come across. Best locations to spot whales depend on the species and the time of year, subject to migrating patterns. 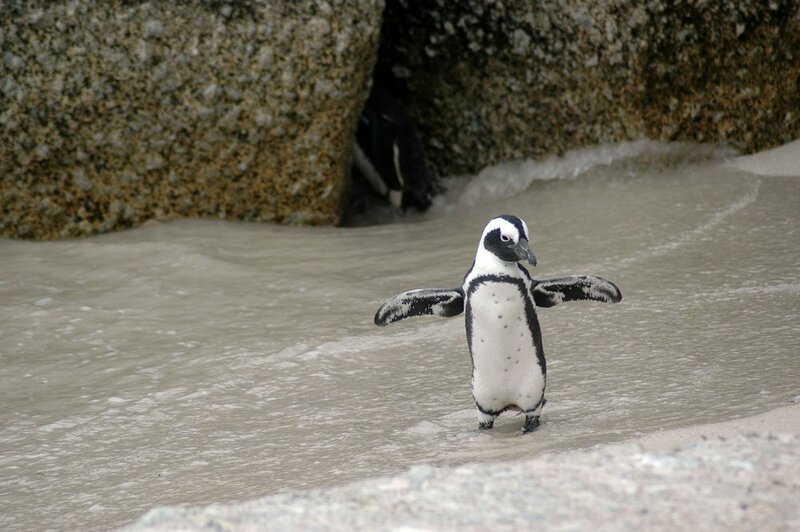 The Magellanic Penguins can be spotted in several locations across Patagonia, unlike the King Penguin which just has one colony in Tierra del Fuego. Magellanic Penguins hunt for food in the water, eating cuttlefish, squid and other small marine life, and can dive up to 50m deep to reach them! Pudús are the world’s smallest deer, with chestnut brown hair, but share some characteristics often associated with mountain goats such as a curved back and short antlers on males. They are solitary animals that only come together for breeding, as such you’re likely to only come across the odd few as opposed to herds. Pudús are monogamous animals and only raise one young offspring at a time, so they are frequently in small family groups. Other notable species you may want to keep an eye out for include the Wolffsohn’s Viscacha, Humboldt’s hog-nosed skunk, Chilean Flamingo, Sea Lions, Southern Crested Caracara, Commerson’s Dolphin, and Black-bowed Albatross. For a better chance at finding specific animals on your trip to Patagonia, I would recommend hiring a local guide, a connoisseur of the territory and the species that live there. Which animals would you want to see? Written by Jade Touron, explore her adventures on Instagram.